Our Service Department features a friendly, fully trained and professional staff. Zimmerman Honda's team of technicians, including ASE certified mechanics, are here to address your service needs. Whether you need an oil change, tire rotation, wheel balance, battery, tune-up, muffler/exhaust repair, brake repair, wheel alignment, fluids flushed, shock or strut replacement or engine management service, we're here to take care of all of your vehicles service needs. Scheduled maintenance is the most important component to keeping your vehicle in prime operating condition. Our Service Consultants and Certified Honda Technicians are here to help you keep your vehicle in tip top shape. We want to share the value of preventative maintenance with you so you don't get stuck down the road. We make the repairs or maintenance you need for your car understandable and affordable. Our many years of training and professional experience will make Zimmerman your first choice for all engine, suspension, drive train, and body repair needs. 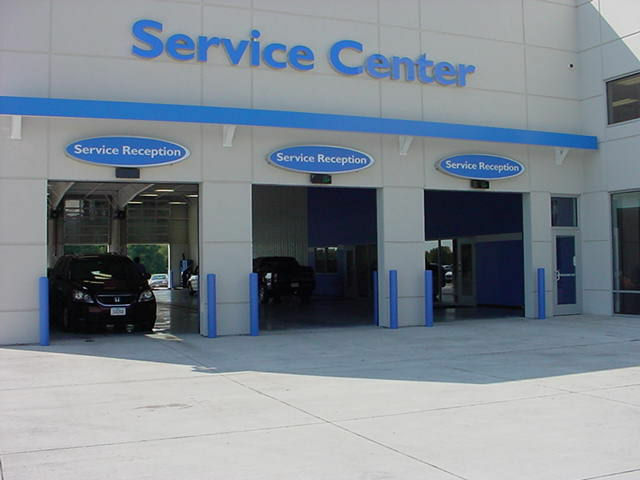 Our Service Department is located at John Deere Road & 70th Street. For a Service Appointment, please call us at 309-76-Honda(46632) or click here to Schedule Service Appointments Online. We have 18 Service Bays. That means less time spent waiting for your repairs or maintenance. We'll get you back on the road right away. With over 20 Service Employees, that means there will be someone available to help you quickly, and your vehicle will be ready in no time. Our Large Service Department allows you to schedule your repairs and/or maintenance needs at a time that is convenient for you. After hours vehicle key drop off, click here. Our Wheel Alignment Equipment features the latest, most up-to-date technology to make your vehicle drive straight and true. Balanced tires, aligned suspension, and proper adjustment keeps your vehicle operating at optimal performance. Why would you trust anyone else? We are the experts when it comes to repairing and maintaining your Honda with our Honda Certified technicians and staff. Trust the experts at Zimmerman Honda and experience the Zimmerman difference!